lisa is cooking: Monica Bhide, What Are You Reading? Monica Bhide, What Are You Reading? Monica Bhide, incredible cook, cooking instructor, food writer, food writing instructor, and author of three cookbooks, contributes regularly to iSpice, an online column for The Washington Post, the DC CityGuide for ARRIVE magazine, and is a weekly food blogger for AARP-The magazine online. Her most recent book is Modern Spice , and her twitter feed was just voted the best in food in DC by The Washington City Paper’s Best of DC 2010 guide (@mbhide). And, she shares beautiful recipes and great information on her site. I knew Monica would have an interesting answer when I asked her, what are you reading? 2. The Soul of a New Cuisine by Marcus Samuelsson - I interviewed chef Marcus once and totally fell in love with his philosophy on food and spices. And I love his book. The recipes are enticing and make me want to run into the kitchen. Who would not want to make a caramelized mango soup with poppy seed rice pudding or a spectacular beet ginger chutney. This book is perfect for a spice-lover like me! Thank you for participating, Monica! Check back to see who answers the question next time and what other books are recommended. Would love to check both of those books out. I will have to create a list of all these recommendations! 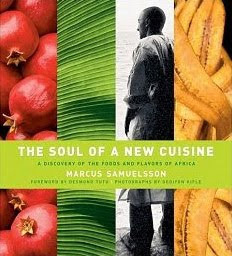 Marcus Samuelsson's, in particular, sounds wonderful as I know very little about the flavors of African cuisines. I love Marcus Samuelsson's book! It is so beautiful and chock-a-block full of wonderful recipes. So cool. Keep em coming! I'm loving the responses. 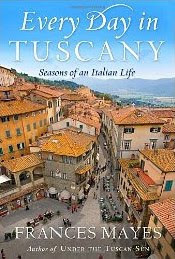 Every Day in Tuscany sounds like a lovely read! I'm off to explore her web site. Every day in Tuscany, the title alone make me dream about it. Will definitely check on this one. Thanks for the reviews Lisa. i love the second recommendation!